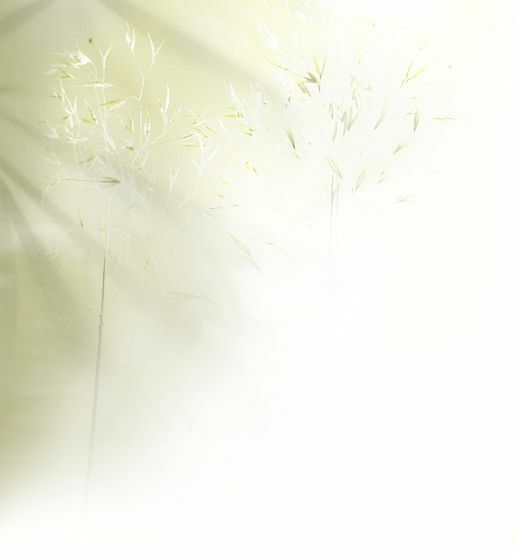 Pioneers can go to the Download page to get a copy of each photograph. 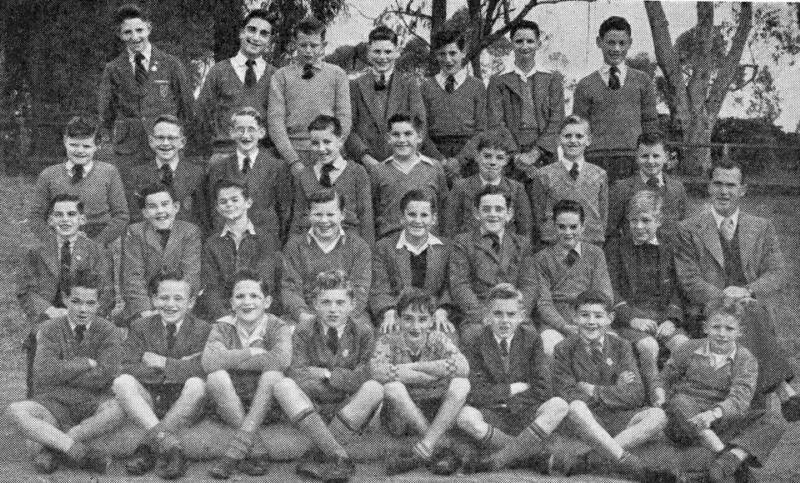 F 1 Alan Boston 2 .................. 3 .................. 4 ..................... 5 .................. 6 ................ 7 ................. .
All these boys and teachers started 1956 at Carlingford District Rural School - situated on Mobbs Hill. 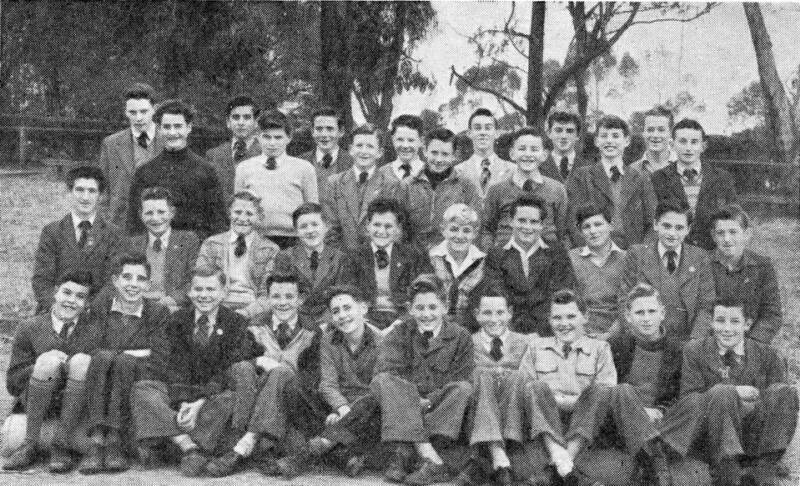 In Third Term they were all moved to the Felton Rd site to become the foundation members of a new High School. 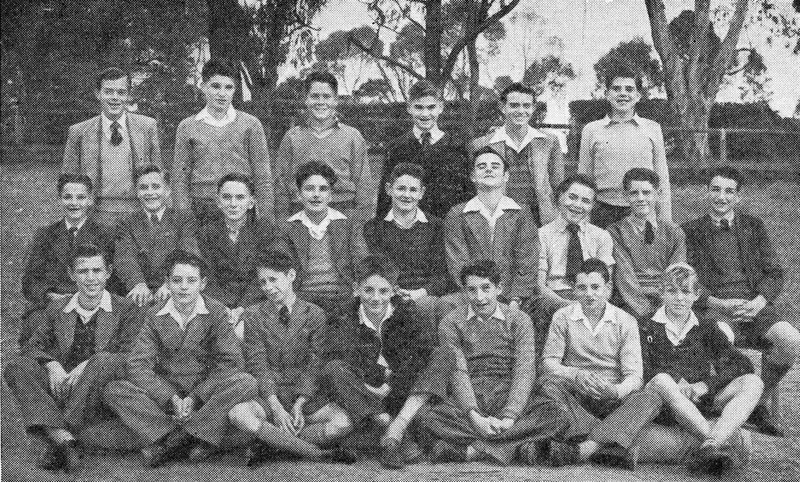 That school grew to be James Ruse Agricultural High School. Alan Boston died in an industrial accident in 1958. 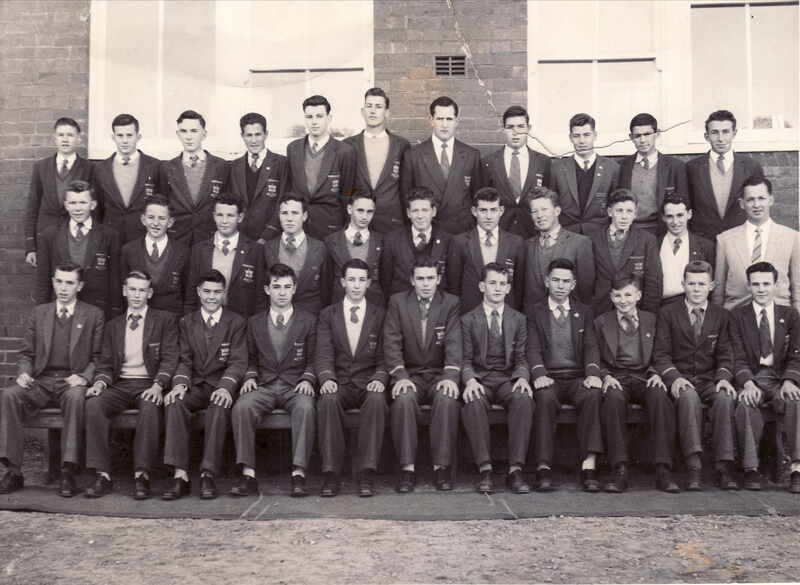 This class photograph has been included to show where some of the boys from 3rd Year 1957 (2nd year 1956 photos above) went after obtaining their Intermediate Certificate at Carlingford District Rural School. 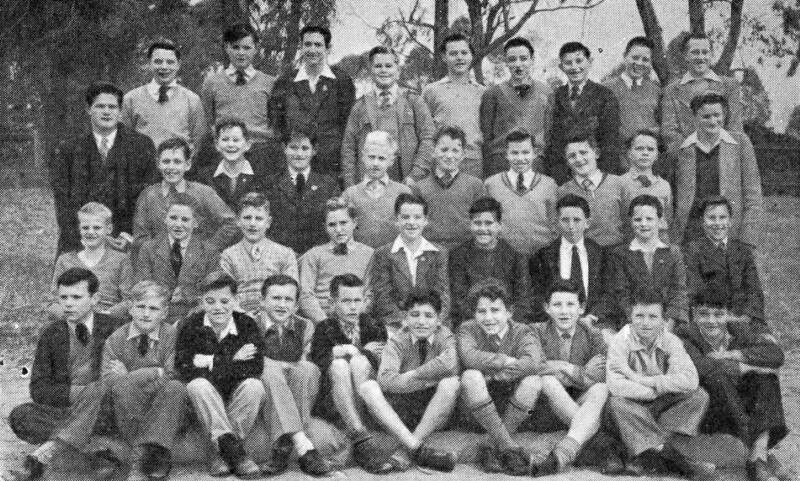 About a third of the boys (shown here in red) in this 4th year Hurlsone class were from Carlingford District Rural School. 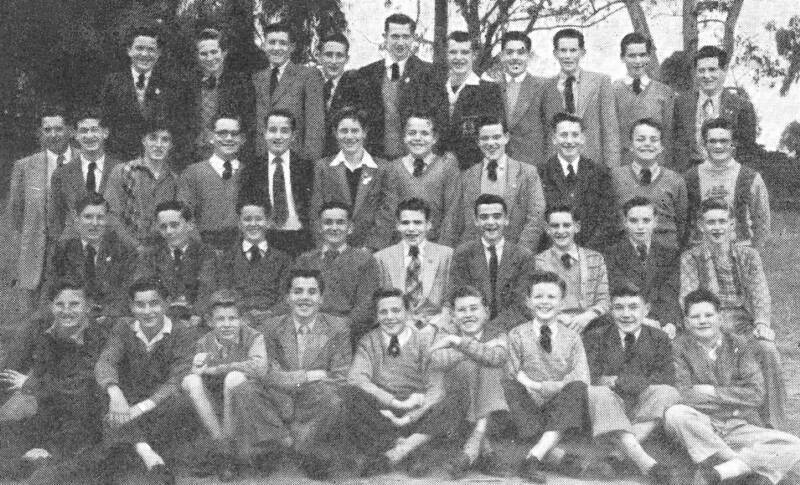 Other pupils went directly from their third year at CDRS to Hawksbury Agricultural Collage (or had to wait a year to be old enough to go to HAC).